Based on Hindu caste system, Dalits are the lowest caste of the Indian society. Dalits are further categorized into sub castes. In Tamil Nadu they are categorized as Pallar, Parayar and Arunthathiyar (Sakkiliar). 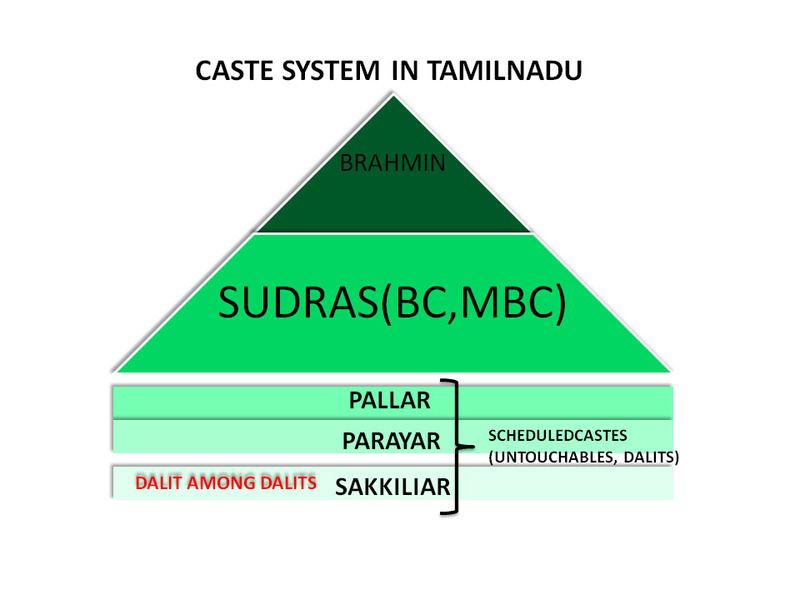 Arunthathiyars are considered to be the lowest in the sub caste system (Click here to view Caste pyramid) and are the marginalized lot of Tamil Nadu. Arunthathiyars are made outcaste by the Hindu caste system and has forced them to work as grave diggers, dead animal disposers, pickers, street sweepers, manual scavengers, manhole scavengers and agricultural bonded laborers. Apart from these injustices they are further subjected to various atrocities and discrimination in the society. Arunthathiyars are descendents of ``Athiyars`` in Tamil Nadu. Historically Tamil Nadu was ruled by kingdoms. Apart from the large Chera, Chola and Pandiya kingdoms, there were smaller kingdoms ruled by various kings belonging to the sect of Velirs. One such sect of the Velir is known as Athiyar. They ruled over Vadugan Tamil Nadu comprising of Tagadur, which is now known as Dharmapuri. The name Athiyar has undergone transformation over the years to become Arunthathiyar. Adhiyamaan Nedumaan Anji is the greatest of the Athiyar Kings. He ruled over the Thagadur region. Even to date Arunthathiyars are predominantly found in the region surrounding Dharmapuri such as Salem, Periyar Erode, Coimbatore districts and other eastern regions of Tamil Nadu. Since Adiyamaan gave the eternal amla (Nellikani) to the great Tamil poet Avvaiyar, Adhiyamaan is revered even today as one of the seven philanthropist kings of Tamil Nadu. Another well known king of Athiyar was Maathiyar. The fact that Arunthatiyars are also known as Maathiyar corroborates the fact that Arunthathiyar are descendents of Athiyars. There is a misconception that Arunthathiyars are migrated population in Tamil Nadu, since some of the Arunthathiyars speak Telugu and Kannada. Arunthathiyars have always been the son of soils of Tamil Nadu. Historically Vaduganadu comprised of various parts of Tamil Nadu, Karnataka and Andhra. The Tamils living in these Andhra and Karnataka regions learnt the vernaculars. When the British Empire fell the regions were united with their parent states. For various reasons these Arunthathiyars returned back to Tamil Nadu and continue to speak the vernacular Telugu and Kannada but their mother tongue is always Tamil. 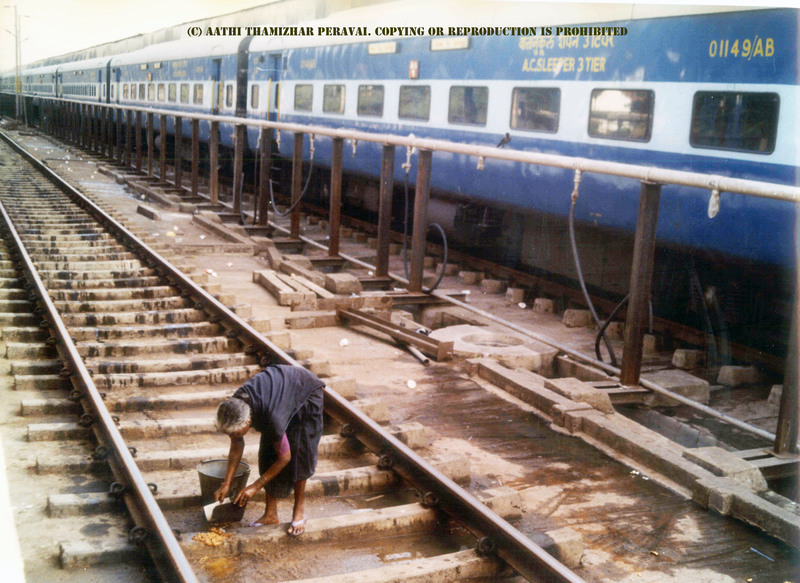 Aathi Thamizhar Peravai (ATP) is an "Arunthathiyar" (Dalit, Untouchables, Sakkiliar) movement founded by Mr. Athiyamaan in 1994 at Coimbatore district in the west zone of Tamil Nadu, India. Its goals are to re-establish economic, cultural and social status among the "Arunthathiyar" community who are considered outcast, oppressed by all other castes and non-caste societies and whose living condition is below the poverty line. The population of Arunthathiyars in Tamil Nadu today counts to 60 lakhs and above. To emphasize the historical decadency, to give a face of recognition to Arunthathiyar community who are the descendents of Athiyar from early (Aathi) Tamils (Thamizhar) and a forum (Peravai) to address their issues, ATP was established; hence the name "Aathi Thamizhar Peravai". The prejudice of the society on Arunthathiyar community was deep in the thoughts of Mr. Athiyamaan. To influence a change he joined “Youth Guidance Service” (YGS) in 1980s and served in various capacities within the YGS. YGS could not unite all the Arunthathiyar organisations within its umbrella, so he and his friend Mr. Perumal formed “Tamil Nadu All Arunthathiyar Sangam Coordination” (TAASCO) and continued his service. In 1991, under his leadership he organized a meeting for all Arunthathiyar organisations through TAASCO. In spite of his efforts he could not unite the Arunthathiyar organisations under TAASCO too. Athiyamaan was fully convinced that establishing an organization is possible based only on strong core principles. Taking all these factors into account and based on the principles of Dr. Ambedkar, Thanthai Periyar and Karl Marx, Athiyamaan established a new revolutionary organization Aathi Thamizhar Peravai in the year 1994 with Coimbatore being its Head quarters. ATP's motto says “Arunthathiyar liberation is liberation to all”. He wanted to completely break the image of arunthathiyar being picturised as migrated people. He not only insisted that arunthathiyar are the sons of the soil but also wanted to strongly motivate arunthathiyar on the same through ATP. ATP has been a pioneer in Arunthathiyar historical research. To eradicate the evil of "manual scavenging"
Segudanthali Murugesan was a poor laborer who was killed brutally and unjustly by the upper caste called "Goundars" just because he and his "pregnant" wife sat near the seat where a "gounden" was seated in a public bus. This was regarded a disgrace and an excess by the gounden as an outcaste sat near him. On the same night the enraged "Gounden" went to the house of Murugesan with a mob and looted the house and tortured the family members by verbally and physically abusing them. Even his pregnant wife was not spared the atrocity. Like any other atrocities on out caste people, police were delinquent to take any action. Following the incident ATP took the issue and about 300 ATP members along with other Arunthathiyar organizations conducted a demonstration and were arrested demanding action against the culprits. Following the agitation a police case was registered and it was proceeding in favor of the affected Murugesan. The Gounders threatened him to withdraw the case. But Murugesan was undeterred and said to them that it was a matter of the dignity of his people and his untouchable society and refused to withdraw the case. Finally he was brutally beaten and killed on 17th November, 1999 in Coimbatore district Tamil Nadu. Following the killing ATP took action which resulted in life imprisonment for two of the accused. Unfortunately the accused appealed in the high court and were released. Thus Segudanthali Murugesan sacrificed his life in the fight for self respect of the Arunthathiyar community. This incident was unlike any other atrocity. The raw cruelty and the loss of life in the name of caste were unbearable for ATP. It was a turning point in their functions, as it reinforced the indispensability to the fight against the injustice and atrocities waged against the community. Even to date it reminds the divide and the evil that persists among society in the name of caste. 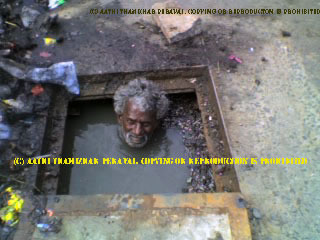 The prime focus at this point for ATP is the total eradication of Manual and Manhole Scavenging in Tamil Nadu. To insist the central government to provide reservation for Arunthathiyar community in Central government departments and public sectors, as currently achieved in Tamil Nadu State Government. To encourage academic and technical education is an important focus of ATP. Uneducated youths are increasing in the community as they are unable to continue education for financial and social reasons. Although ATP strives hard in realizing this focus, lack of funds and sponsors is a major stumbling block for ATP to help and encourage the community. Ever since the inception of ATP in 1994, it has grown leaps and bounds. To date there are around 500 branches in 20 districts all around Tamil Nadu and has branches established in Mumbai and New Delhi. Currently ATP is taking steps in reaching out to its Diaspora in various countries. Field workers are the face of ATP in the midst of the community. There are 25 dedicated field workers on ground. Even though more field workers are interested to work full time, lack of funds is a major hindrance to ATP and field workers interest alike. In its 15 years of Arunthathiyar liberation struggle, ATP has worked relentlessly and is continuing to do so. ATP has gained success as an organization, learnt from its setbacks and has evolved to sharpen its fight for the liberation of Arunthathiyar community. ATPs major success is its efforts in achieving 3% inner reservation for Arunthatiyars in Tamil Nadu. 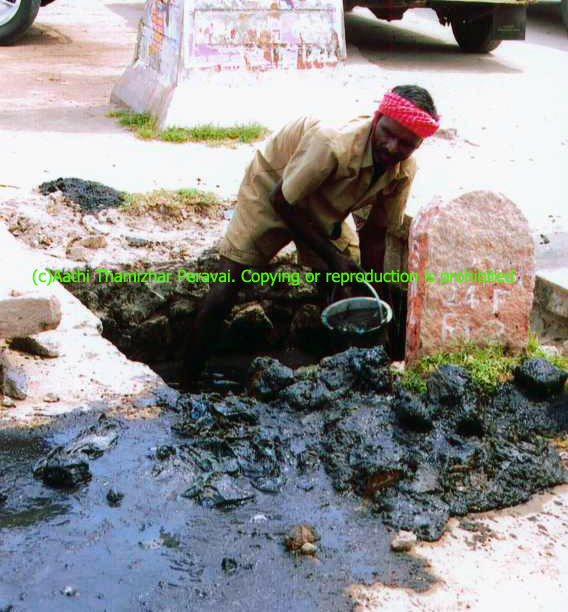 After organizing a successful rehabilitation conference for Manual scavengers in 2004, it took the issue to the UN and has received acknowledgement for the same. ATP has been a pioneer in Arunthathiyar historical research. It has played a pivotal role in excavating the history of ancient Arunthathiyars. Through the publication of 3 books namely The Great Warrior, Ondiveeran Pagadai, Madurai Veeran, Thirumala Naiyakar Palace and ther murder of Madurai Veeran. ATP has successfully brought the history of Arunthathiyar brave hearts "Ondiveeran” and “Madurai Veeran” to the world. In total ATP has published 12 books on various topics of interest. Furthermore it publishes a monthly magazine Aathithamizhan to connect with the community and beyond. ATP is a beacon of hope for the community and at the same time it is feared by anti-dalits and anti-arunthathiyars in the cities and villages of Tamil Nadu. ATP fights for the various problems faced by the Arunthathiyar community. Depending on the issues it faces challenges within and outside the community. Predominantly the challenges are from Caste Hindus, Caste Hindu officers and police. It is also a challenge to educate and use current developments in communication and therefore it forms a stumbling block in efficient functioning of the organization. Contact : 713, Mettupalayam Road, R.S. Puram P.O., Coimbatore - 641 002, Tamil Nadu, India.